High Quality Content by WIKIPEDIA articles! 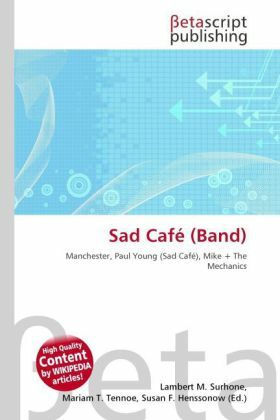 Sad Café is an English rock band, which formed in Manchester in the late 1970s. Band members included Paul Young (who joined Mike + The Mechanics in 1985). They are best known for their song "Every Day Hurts" which reached Number 3 in the UK Singles Chart in 1979. Paul Young died on 15 July 2000, at the age of 53. "Strange Little Girl" by Sad Café retells the story of the film The Little Girl Who Lives Down the Lane that featured Jodie Foster and was based on a book of the same name.